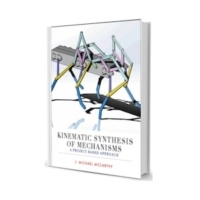 This book is an introduction to the geometric theory used to design linkage systems that are critical components of machines ranging from vehicle suspensions to robot arms. 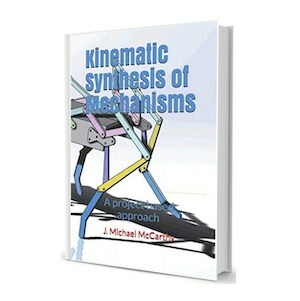 The focus throughout is on graphical synthesis of linkages to control the movement of the legs for a walking machine. Increasingly complicated walking machines obtained from patent drawings, art and technology are used to motivate the theory. Starting with legs formed by rotating cranks, we move to legs constructed from four bar linkages with specially shaped coupler curves. The use of an RR chain controlled by the coupler of a four-bar linkage is our introduction to six-bar linkages. Then skew pantographs that provide scaling and reorientation of a coupler curve for better walking movement yields eight-bar linkages. This leads to graphical two and three position synthesis of four-bar function generators, which are applied to the design of legs with two and three specified configurations.